Tick some of Devons best attractions off your bucket list on this tour to Exeter! Enjoy spectacular views on the South Devon Railway, take a tour of the Dartmoor National Park and walk in the footsteps of monks with a visit to the exquisite Forde Abbey House & Gardens! 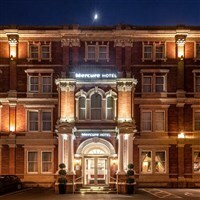 The historic Mercure Exeter Rougemont is a stylish and comfortable four-star hotel, located right in the heart of Roman Exeter. It offers a restaurant, bar and lounge. All bedrooms are en-suite and equipped with TV, telephone Wi-Fi and tea/coffee making facilities. This hotel has a lift serving some floors. Your holiday includes three excursions and one free day at leisure. - Today we include entrance to Forde Abbey House and Gardens. Recently seen in the latest Hollywood adaptation of 'Far From the Madding Crowd', the historic House is home to the stunning Mortlake tapestries and has a rich history spanning 900 years. Take this opportunity to explore the interior, as well as the award-winning gardens, which boast the highest powered fountain in the country! Newton Abbot & South Devon Railway - We begin today we a visit to Newton Abbot, a historic market town surrounded by beautiful countryside. This afternoon you can enjoy an idyllic journey on the South Devon Railway, offering spectacular views along the valley of the River Dart, before we return to the hotel by coach. Dartmoor National Park & Tavistock -Our excursion today is a scenic drive through the stunning Dartmoor National Park. Sit back, relax and enjoy the stunning craggy landscape defined by forests, rivers and wetlands. We call at the friendly town of Tavistock, offering an abundance of unique independent shop, beautifully contrasting from today's typical high street.